Please note, all services can be done in-person, on the telephone or online via Skype or Zoom. Are you doing well in life but would like to be doing great? Are you having difficulties achieving your goals and would like some support? Would you like to be empowered to find your own answers to your problems? Do you need someone who will tell you how it is? Are you willing to have a break down to have a break through? Do you want to transform yourself and have your life go well every day? Are you bored with life? Are you contemplating the meaning of your existence? Do you ever think to yourself “There must be more to life than this”? If so, I have just the medicine for you in this 5 part Dharma Discovery series. Using your Soul Plan, in combination with the 4 Dharma Circles, we will explore your passions, challenges, talents and skills to see how to create a life that serves you well. Please note that Soul Plan Readings require the client’s birth name (i.e. full name as it appears on their birth certificate. First, middle and last names). If the incorrect name is given the Soul Plan will be incorrect. Due to the time taken to prepare the Soul Plan, at least one weeks’ notice is required for all bookings. ​By applying a numerological system to your birth name we can compile a plan of your soul’s challenges, talents, goals and overall Soul Destiny. Your Soul Plan can help you reassess your life path – where you are, what you have, and what you want to achieve out of life. It is useful if you are lost and confused about life; if you feel you have strayed from your path; or if you need guiding towards your true purpose. ​Using psychic abilities and intuition to channel wisdom from the Divine, through the medium of Tarot cards, to offer intuitive support and guidance. ​The Tarot can be used to provide insight into past traumas; to gain perspective on present life circumstances; and to find guidance on how to move forward. Please note that the Tarot are designed to provide support and guidance, not to give concrete future predictions. ​A Japanese healing technique developed to channel the universal energies in order to bring forth healing for the highest intention. This can be achieved through a hands-on or hands-off approach depending on the desires of the client (and their location). I also offer long distance healing to anywhere in the World. This often requires something personal of the recipient – a name, photo, personal belonging etc. We will choose a time and date to suit us both, then prior to your session I will send you a recording to be played during your session. This will heighten the healing experience and aid in our connection to the Divine. ​Please note, Reiki is designed to send healing where it is most needed. This might not necessarily be where you think is most needed. Therefore you must surrender all desires of specific healing. ​Ask the Angels or the Goddesses for some divine guidance. 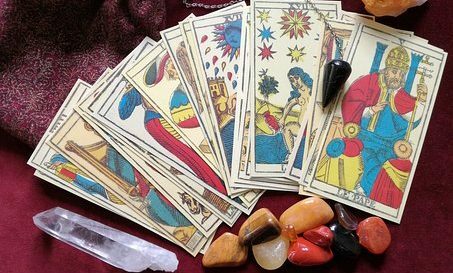 With this reading you will receive a 3 card email report with some words of wisdom from either the Angels or the Goddesses – but which one will you choose? If you seek gentle, nurturing, healing advice, then it is the Angels you will need to seek. However, if you desire some more direct, assertive, and sometimes harsh guidance, then the Goddesses are here to give you the wake-up call you might need.